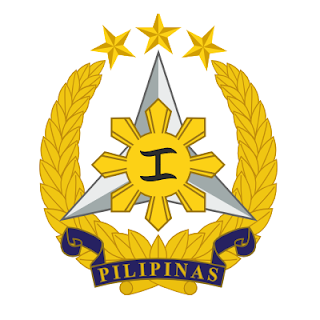 Armed Forces of the Philippines (AFP): Join the AFP Reservist (AFPRESCOM now! 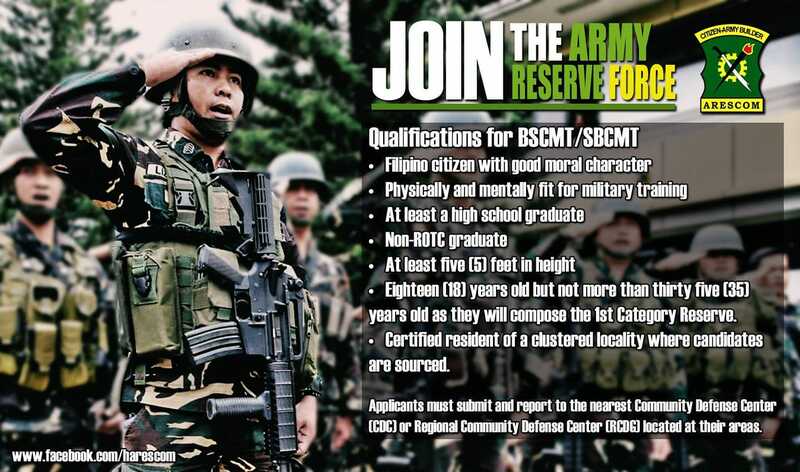 Join the AFP Reservist (AFPRESCOM now! Eighteen (18) years old but not more than thirty five (35) years old as they will compose the 1st Category Reserve. Certified resident of a clustered locality where candidates are sourced. Applicants must submit and report to the nearest Community Defense Center (CDC) located at their areas. List of Community Defense Center (CDC) in the Philippines.